The Argyll Stone © Thomas Nugent and licensed for reuse. Patrick Walker does not mention where Alexander Peden was when he was ‘near to Wigtown’ on 16 June, 1685. However, the presence of his former parishioners from New Luce parish, mentioned below, suggests that Peden was to the north of Wigtown in either the parish of Glenluce, Kirkcowan or Penninghame. The later two of those parishes were the logical place for Peden to be, as they were the strongholds of the Society people and Presbyterian dissent in Wigtownshire. Argyll had sat on the privy council which conducted the repression of Presbyterian dissent until the end of 1681, when he fled into exile. Monmouth had commanded the government forces that had defeated the Covenanters at Bothwell Bridge in June, 1679. On the 18 June, some of Argyll’s men won the Battle of Muirdykes. However, it was too late. 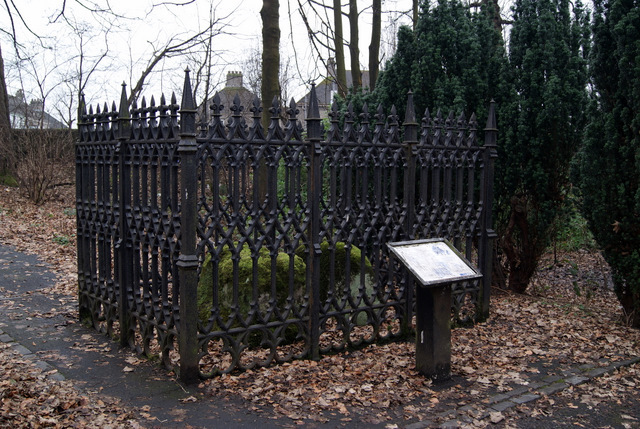 The earl of Argyll was allegedly captured at the St Conval and Argyll Stone, between Inchinnan and Renfrew, in Renfrewshire. George Barclay was a longstanding opponent of the Society people’s platform. He had been sent to the South-West by the earl of Argyll after he landed at Campbeltown on 20 May, 1685. By 25 May, Barclay was in Carrick to the north of Wigtownshire and sending back optimistic reports of the number of men willing to join Argyll’s rising. Barclay probably preached in either Kirkcowan, or Penninghame, parish. Peden and Barclay’s presence in Wigtownshire may have taken place at around the same time as Peden’s preaching at Craigminn, which is said to have taken place at ‘around’ the time of the killings of the Kirkcalla martyrs. ~ by drmarkjardine on June 25, 2014. I’ve never heard of the Argyll stone, I will have to pay it a visit one day as it’s not too far from home. I know Argyll was briefly in my town of Greenock during the Monmouth rebellion. I have to say that finding the stone surprised me, too.